What a busy week! I hope you are all well & keeping warm... When February comes around my head always goes on vacation somewhere tropical. I am so tired of the freezing cold, the snow and shoveling, not to mention the flus and colds and what is up with the sun setting before supper? I am so ready for spring! Admittedly, I think this might be our toughest challenge to date, but the team has come up with some brilliant inspiration, so be sure to pop by Christmas at Sweet Stampin' and check them out. This month we are sponsored by the Hobby House who are offering the winner a fabulous £10 voucher! I hope you will join in! Thanks so much for stopping by and for taking the time to leave a comment. I really appreciate each one! I will be back tomorrow night with a new Playing in Paradise challenge and I am really looking forward to catching up with your blogs & crafts on the weekend! 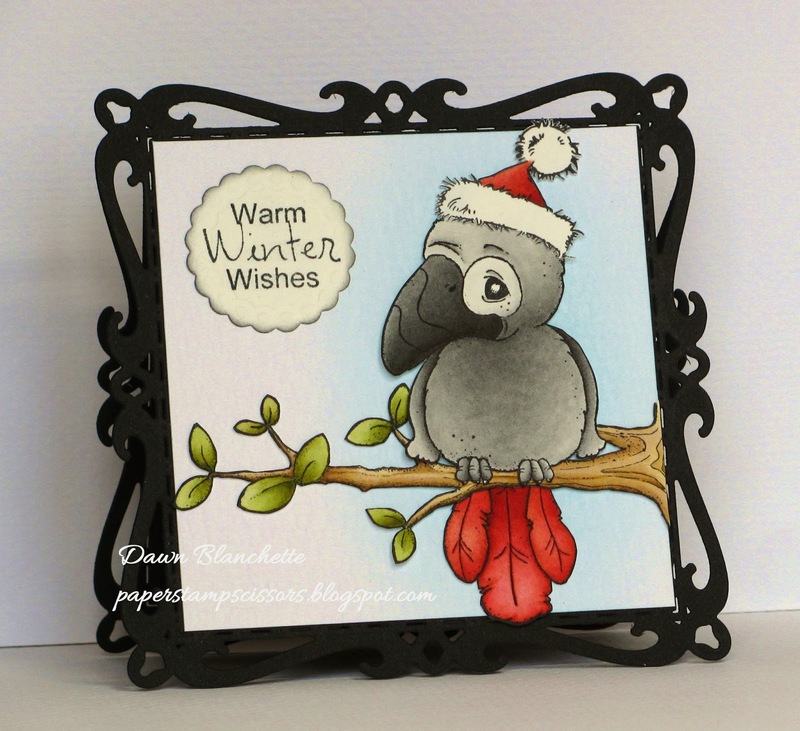 Gorgeous card Dawn, such a fabulous image and wonderful colouring. gorgeous card Dawn and a great colouring. So cute Dawn and very creative too! I love this parrot with his Santa hat! Isn't this cold weather miserable? I am so worn out from winter and want spring to arrive tomorrow! And how I hear you on the weather - everything's covered in ice right now, as we're stuck with some weird above-zero temps in between two storms. UGH.